• Normally touring the country and world, Jerry Joseph usually returns to Portland for his New Year's Eve show. He and his band The Jackmormons play three days of shows at Mississippi Studios, 3939 N. Mississippi Ave., 9 p.m. Saturday-Monday, Dec. 29-31. Tickets: www.mississippistudios.com. • At Roseland Theater, 8 N.W. Sixth Ave., it'll be Railroad Earth and Shook Twins at 8 p.m. Sunday, Dec. 30, and 9 p.m. Monday, Dec. 31. Tickets: $25-$45 (Dec. 30), $45-$65 (Dec. 31), www.roselandpdx.com. • 3 Leg Torso and Krebsic Orkestar put on their New Year's Eve bash at 9 p.m. Monday, Dec. 31, at Tango Berretin, 6305 S.E. Foster Road. Tickets: $28, www.dbmonkey.com. It's a small venue, so check on ticket availability. • Norman Sylvester, aka "Boogie Cat of the Northwest," is throwing a big blues New Year's Eve party at 7 p.m. Monday, Dec. 31, in the Eagles Lodge grand ballroom at 7611 N. Exeter Ave. Mary Flower, Lenanne Miller and Devin Phillips also perform. Tickets: www.tickettomato.com. • The New Year's Eve show at the Doug Fir Lounge, 830 E. Burnside St., features Summer Cannibals at 9 p.m. Monday, Dec. 31. Tickets: $18-$20, www.dougfirlounge.com. • The Governor's Ball will take over both of the ballroom floors at the Sentinel Hotel, 614 S.W. 11th Ave. The seventh annual event features Portland's own Patrick Lamb and the top Northwest party band Hit Explosion from Seattle, as well as The Christopher Brown Quartet, Dave Dahl and the Killer Granddaddies, Lilla, CJ Mickens and Alexis Mather (a former Miss Oregon who joins Lamb for vocals). Tickets: $150-$175 ($110 after 10 p.m.). For more: www.thegovernorsball.org. • Ural Thomas and The Pain, featuring the Oregon Music Hall of Fame member, plays a hometown show as it plans a European tour. They'll play at the Doug Fir Lounge, 830 E. Burnside St., at 9 p.m. Friday, Dec. 28. Tickets: $17-$20, www.dougfirlounge.com. The band will be in Paris, London and Denmark in March and in the summer. 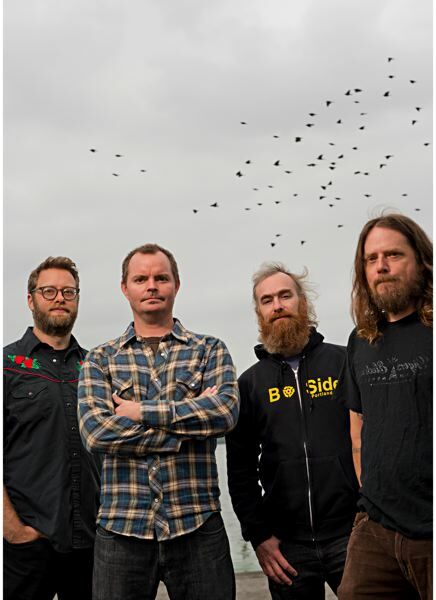 • Portland rock/metal band Red Fang puts on a show at the Wonder Ballroom, 128 N.E. Russell St., at 8 p.m. Friday-Saturday, Dec. 28-29. Tickets: $26, www.wonderballroom.com. • Dirty Revival and Kuinka play 1990s throwbacks and originals at 9 p.m. Friday, Dec. 28, at Mississippi Studios, 3939 N. Mississippi Ave. Tickets: $18, $20 day of show, www.mississippistudios.com. • Tribute bands Stone in Love (Journey) and Grand Illusion (Styx) play the Aladdin Theater, 3017 S.E. Milwaukie Ave., 8 p.m. Saturday, Dec. 29. Tickets: $20-$26, www.aladdin-theater.com. • On its "One Shot Tour," the nine-member male a cappella group Straight No Chaser returns to Portland for a show at 8 p.m. Sunday, Dec. 30, at the Keller Auditorium, 222 S.W. Clay St. Tickets: $34.50-$64.50, www.portland5.com. • Karl Denson's Tiny Universe, one of the longest-running funk bands in the United States, will release in February its first new record in five years, "Gnomes & Badgers." The first of two nights at Revolution Hall, 1300 S.E. Stark St., still has tickets; it's 9 p.m. Sunday, Dec. 30. Tickets: $25, www.revolutionhall.com. The second night, New Year's Eve, is sold out. Denson also plays saxophone for The Rolling Stones, who'll be on tour next summer.